The velvety day care has the special ingredient complex of caviar and gold. It is thus an ideal protective and active cream that counteracts the premature evaporation of the skin’s own moisture, effectively regenerates and so makes for a firmer skin texture. 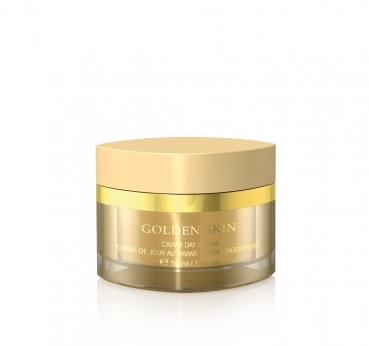 Application: In the morning af ter the Golden Skin Caviar Ampoule Care treatment or the Golden Skin Caviar 24 hour Care Gel apply and massage it lightly into the skin. An excellent make-up base.